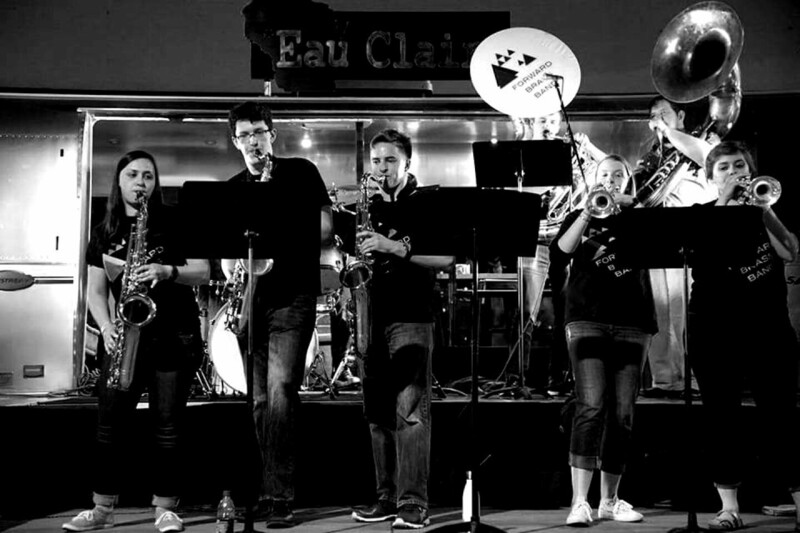 Forward Brass Band has been entertaining the Eau Claire area with music since 2011. What started as a small gathering of friends that wanted to play lively music turned into a band that has played for crowds all around Wisconsin and Minnesota. Forward Brass is a student led group that rehearses on the University of Wisconsin- Eau Claire campus and arranges the music they play. With influences of Youngblood Brass Band, NoBS! Brass Band, and Lucky Chops, Forward Brass Band is high energy and loves crowd participation. They have performed at UWEC's Gatsby's Gala, 52nd Street, and UWEC's Varsity Night Live to name a few.